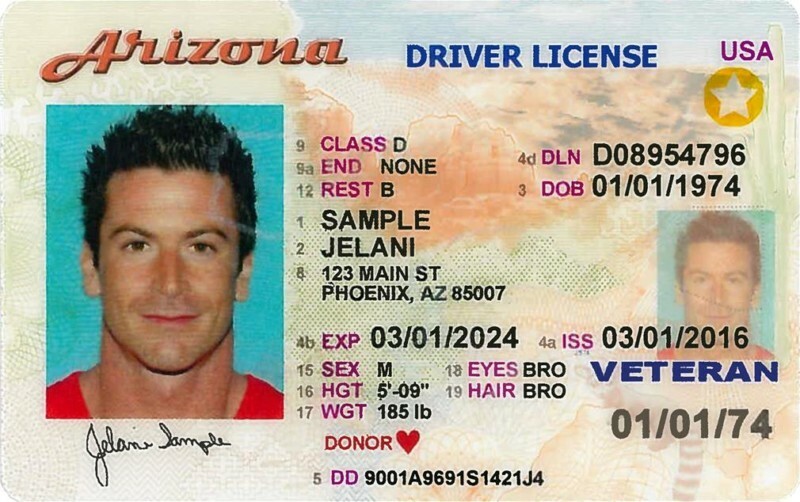 Arizonans who use their driver’s license or ID card to go through TSA security at U.S. airports and other restricted, federally-controlled facilities should take action to get an Arizona Voluntary Travel ID through the Arizona Department of Transportation Motor Vehicle Division (MVD) before October 1, 2020, when the standard ID will no longer be accepted. The Transportation Security Administration is providing special notices at Arizona airports, including Tucson International Airport (TUS), reminding travelers of the change. As of October 1, 2020, a standard Arizona-issued Driver License will no longer be acceptable at TSA checkpoints because it does not comply with the federal REAL ID Act of 2005. The Travel ID can be distinguished from a standard ID by a gold star in the upper right corner of the front of the card. The Travel ID is an optional Driver License or ID that requires applicants to provide identification that meets the federal requirements of the REAL ID Act. The cost is for the Travel ID is $25 and is valid for up eight years in most cases. Driver’s whose photos need to be updated in the near future may wish to get the Voluntary Travel ID. Forms of identification required for a Voluntary Travel ID include one document such as a birth certificate or a passport that proves identity; one document that proves a Social Security number such as a Social Security card or W-2 form, and two documents such as utility bills or bank statements that prove Arizona residency. For a list of examples of identification documents and for additional information, please visit the Voluntary Travel ID section of the ADOT website at azdot.gov/TravelID.